Home / Healthy Eating / Lifestyle / It is time to declare your independence from sugar! It is time to declare your independence from sugar! Do you panic if there's nothing sweet in the house? Start with just a bite, then end up polishing off a pint? If your cravings have been controlling your life, liberty and the pursuit of happiness, it might just be time to declare your independence from sugar! Sweets raise our blood sugar, which offers a quick energy boost. They also deliver serotonin to the brain, which makes us happy. So it's not surprising that the average American tends to overdo it, consuming over 150 pounds of added sugars each year. But the energy boost and happy feeling from sugar is short-lived, followed by a crash. That's when we need another boost. And so the cycle of dependence begins. ➥Sugar makes us moody, and sluggish. ➥Excess sugar is stored as fat. ➥Sugar impacts our immune system. READ ALSO: Health problems that strike sweet food enthusiasts. ☞Get plenty of healthy fat, protein or fiber each time you eat to help keep blood sugar levels even. ☞Ditch the artificial sweeteners; they stimulate your sweet tooth even more than sugar. ☞Cut back on caffeine. It has a negative effect on serotonin levels, so people will often alternate between caffeine and sugar to keep energy and serotonin high. ☞Get your C’s: cinnamon, chromium and vitamin C all are helpful in breaking free from sugar and leveling out blood sugar. ☞Banish it. Get the sweet out of your purse and your house — you'll be less likely to indulge if it means heading out in your PJs to get ice cream. Realize that you can effectively “reset” your sweet tooth. 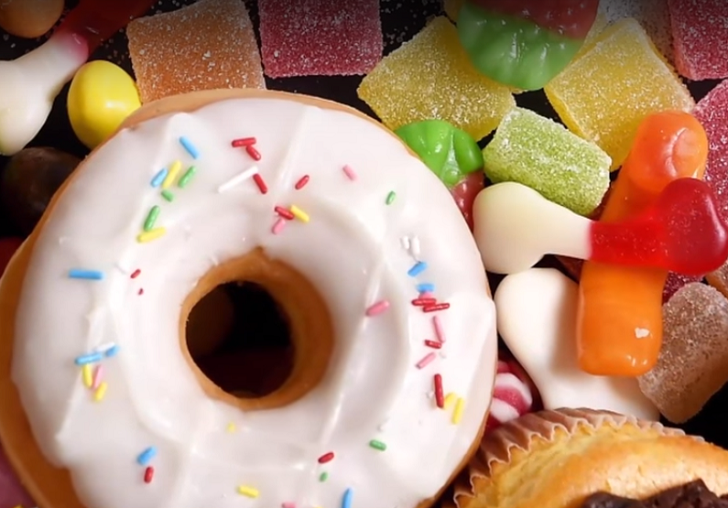 Skip the sugary snacks for a week, and your taste buds become more sensitive to sweets, meaning those candies will be too sweet, but the apple is just right. Give yourself a vacation from sweets and declare your independence from sugar!